ArcheAge 3.0 Revelation Added Two new races (Dwarves and fearsome Warborn) as playable., plus deadly new Abyssal Power abilities that will change PvP and PvE forever, beautiful new zones, new player housing, and much more! For a full list of everything that’s changed you can check it out on Official forum Archeage Here. 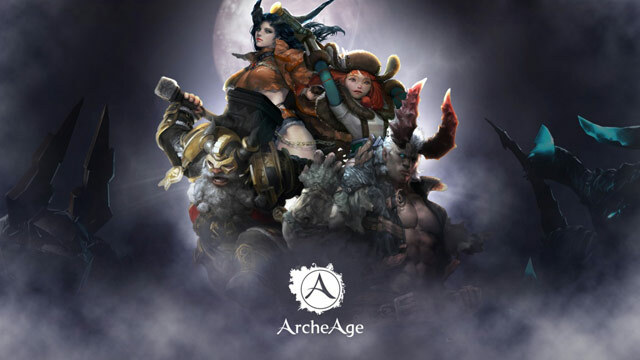 in this post ImadeNews just gonna posting about Trade Pack Values ( West & East Packs) in ArcheAge 3.0. Quality certificates have been removed from the game. Their silver cost is now included in all tradepack recipes at the time of crafting. Existing quality certificates may be sold to a vendor. The labor cost to craft standard specialty, advanced specialty, and auroria castle tradepacks has been reduced from 70 to 50. The labor cost to craft fellowship and fertilizer tradepacks has been reduced from 70 to 60. Arcum Iris Lavaspice – now requires 80 dried flowers and 90 turmeric instead of 50 dried flowers and 60 turmeric. Falcorth Plains Apple Tarts – now requires 100 ground grain and 25 applies instead of 50 ground grain and 20 apples. Tigerspine Grape Jam – now requires 60 grapes instead of 30. Mahadevi Root Herbs – now requires 25 orchard puree and 25 bay leaves instead of 15 orchard puree and 20 bay leaves. Solis Juice Concentrate – now requires 15 jujube instead of 10. Villanelle Preserved Cherries – now requires 12 cherries instead of 8. Silent Forest Pomme Candy – now requires 15 pomegranates instead of 10 pomegranates. Ynystere Olive Oil – now requires 20 olives instead of 14. Rookborne Fruit Leather – now requires 60 figs instead of 30. Windscour Bitter Herbs – now require 100 medicinal powder and 125 mint instead of 50 medicinal powder and 100 mint. Perinoor Potato Powder – now requires 30 orchard puree and 85 potatoes instead of 15 orchard puree and 100 potatoes. Hasla Cured Meat – now requires 30 trimmed meat and 75 lilies instead of 50 trimmed meat and 100 lilies. NEW Sunbite Salvation Tea – requires 30 orchard puree and 80 lavender. NEW Rokhala Auspicious Elixir – requires 100 medicinal powder and 190 azelea. Arcum Iris Roasted Eggs – now require 60 ground spices and 40 eggs instead of 50 ground spices and 30 eggs. Falcorth Snowlion Yarn – now requires 60 medicinal powder and 40 goose down instead of 50 medicinal powder and 30 goose down. Tigerspine Tigerspaw Pancakes – now requires 70 ground grain and 30 milk instead of 50 ground grain and 20 milk. Mahadevi Elephant Cookies – now requires 15 bananas instead of 10. Solis Alchemy Oil – now requires 80 medicinal powder and 25 yata fur instead of 50 medicinal powder and 20 yata fur. Villanelle Potpourri – now requires 70 dried flowers and 40 goat wool instead of 50 dried flowers and 25 goat wool. Silent Forest Dried Fruit – now requires 20 orchard puree and 15 milk instead of 15 orchard puree and 10 milk. Ynystere Preserves – now require 55 chopped produce and 10 oranges instead of 50 chopped produce and 8 oranges. Rookborne Biscuit Sticks – now requires 20 orchard puree and 15 milk instead of 15 orchard puree and 10 milk. Windscour Hearty Jerky – now requires 15 trimmed meat and 7 olives instead of 50 trimmed meat and 8 olives. Perinoor Aged Spices – ingredients remain the same. Hasla Softened Fabric – now requires 40 duck down instead of 30. NEW Sunbite Citrus Cleanser – requires 40 medicinal powder and 20 lemons. NEW Rokhala Alpine Mix – requires 40 ground spices and 20 apples. Arcum Iris Salt Crackers – now requires 70 sunflowers instead of 65. Falcorth Plains Fertilizer – now requires 80 dried flowers and 150 carrots instead of 50 dried flowers and 180 carrots. Tigerspine Seasoned Meat – now requires 30 trimmed meat and 30 tomatoes instead of 50 trimmed meat and 100 tomatoes. Mahadevi Pickles – now require 60 ground spices instead of 50. Solis Red Spice – now requires 110 ground grain and 30 saffron instead of 50 ground grain and 12 saffron. Villanelle Long Noodles – now require 80 chopped produce and 180 rice instead of 50 chopped produce and 160 rice. Silent Forest Seasonings – now require 60 medicinal powder instead of 50. Ynystere Bouquets – now require 60 ground grain instead of 50. Rookborne Basin Corn Hash – now requires 80 dried flowers instead of 50. Windscour Chilled Beverages – now require 180 chopped produce and 40 aloe instead of 50 chopped produce and 25 aloe. Perinoor Fried Meat – now requires 30 trimmed meat and 30 peanuts instead of 50 trimmed meat and 35 peanuts. Hasla Specialty Tea – now requires 20 orchard puree and 40 cornflower instead of 15 orchard puree and 45 cornflower. NEW Sunbite Pest Poison – requires 80 ground grain and 90 mint. NEW Rokhala Livestock Feed – requires 80 dried flowers and 90 yams. Solzreed Dried Food – now requires 30 trimmed meat and 30 grapes instead of 50 trimmed meat and 35 grapes. Gweonid Apple Pies – now require 30 apples instead of 15. Lilyut Cooking Oil – now requires 20 olives instead of 12. Dewstone Distilled Liquor – now requires 100 medicinal powder instead of 50. White Arden Figgy Pudding – now requires 60 figs instead of 40. Marianople Sweeteners – now require 12 cherries instead of 8. Two Crowns Pomme Cakes – now require 15 pomegranates instead of 10. Cinderstone Sacred Candles – now require 75 ground spices and 55 bay leaves instead of 50 ground spices and 40 bay leaves. Halcyona Yam Pasta – now requires 90 dried flowers and 130 yams instead of 50 dried flowers and 90 yams. All hail the YAM QUEEN! Hellswamp Mushroom Pot Pies – now require 30 orchard puree and 80 mushrooms instead of 15 orchard puree and 100 mushrooms. Sanddeep Preserved Meat – now requires 30 trimmed meat and 75 rosemary instead of 50 trimmed meat and 100 rosemary. NEW Airain Dry Triple Stout – requires 45 trimmed meat and 55 barley. NEW Aubre Cradle Ethanol – requires 100 medicinal powder and 190 corn. NEW Ahnimar Mushroom Roulette – requires 100 chopped produce and 190 mushrooms. NEW Karkasse Dragon Jerky – requires 45 trimmed meat and 55 corn. Solzreed Braised Meat – now requires 25 trimmed meat and 20 eggs instead of 50 trimmed meat and 30 eggs. Gweonid Dyed Feathers – now require 20 orchard puree instead of 15. Lilyut Milk Soap – now requires 70 ground spices and 35 milk instead of 50 ground spices and 20 milk. Dewstone Fine Thread – now requires 70 ground grain and 40 goat wool instead of 50 ground grain and 30 goat wool. White Arden Trail Mix – now requires 70 chopped produce and 30 milk instead of 50 chopped produce and 15 milk. Marianople Duck Down – now requires 70 dried flowers and 40 duck down instead of 50 dried flowers and 30 duck down. Two Crowns Cream – now requires 80 medicinal powder and 35 milk instead of 50 medicinal powder and 20 milk. Cinderstone Tart Mead – now requires 55 dried flowers instead of 50. Halcyona Wheat Biscuits – now require 70 ground grain instead of 50. Hellswamp Spicy Meat – now requires 15 trimmed meat and 10 bananas instead of 50 trimmed meat and 12 bananas. Sanddeep Medicinal Poultice – now requires 40 medicinal powder instead of 15. NEW Airain Dream Catchers – requires 50 dried flowers and 40 duck down. NEW Aubre Cradle Rice Flour – requires 30 trimmed meat and 55 rice. NEW Ahnimar Hangover Cure – requires 30 trimmed meat and 15 grapes. NEW Karkasse Quilts – requires 40 dried flowers and 40 duck down. Solzreed Strawberry Smoothies – now requires 60 ground spices instead of 50. Gweonid Piquant Spices – now requires 70 medicinal powder instead of 50. Lilyut Barley Moonshine – now requires 20 orchard puree and 80 barley instead of 15 orchard puree and 100 barley. Dewstone Toy Robots – now requires 12 ginkgo leaf instead of 10. White Arden Grilled Meat – now requires 30 trimmed meat and 30 pumpkin instead of 50 trimmed meat and 100 pumpkin. Marianople Face Cream – now requires 100 chopped produce instead of 50 chopped produce. Two Crowns Flowerpots – now requires 80 dried flowers instead of 50. Cinderstone Medicinal Powder – now requires 70 medicinal powder instead of 50. Halcyona Livestock Feed – now requires 80 chopped produce and 90 oats instead of 50 chopped produce and 75 oats. Hellswamp Ground Peanuts – now requires 100 ground spices and 80 peanuts instead of 50 ground spices and 35 peanuts. Sandeep Fried Cucumbers – now requires 60 ground grain instead of 50. NEW Airain Vegetable Seasoning – requires 100 chopped produce and 80 rye. NEW Aubre Cradle Steamed Eggs – requires 40 ground spices and 45 eggs. NEW Ahnimar Pressed Powder – requires 80 medicinal powder and 90 cornflower. NEW Karkasse Burn Cream – requires 20 orchard puree and 40 rosemary. Sunbite and Rokhala Fertilizer packs have been added. Airain, Aubre Cradle, Ahnimar, and Karkasse Fertilizer packs have been added. It now costs 75 silver to craft a fertilizer pack instead of 50. No additional ingredients have been adjusted. Aged Salve – now requires 30 cultivated ginseng and 35 olives instead of 40 cultivated ginseng and 20 olives. Aged Cheese – now requires 50 milk and 30 lemons instead of 30 milk and 10 lemons. Aged Honey – now requires 4 honey and 20 hay bales instead of 5 honey and 5 hay bales. Do you think it’s possible to craft a statue of King Andrion II purely out of the wax casing on Gouda cheese? Multi-purpose Aging Larders can now be placed in Karkasse Ridgelands, Airain Rock, Aubre Cradle, Ahnimar, Sunbite Wilds, and Rokhala Mountains. Each pack requires 50 labor, 2 blue salt hammers, and 3 gold to finalize the craft. A general tradepack value evaluation has been conducted and packs have been balanced based on distanced travel, required materials, and level of difficulty. This resulted in an overall increase in pack gold entering the world. Advanced Specialty Packs (the ones that require gilda stars) have a higher gold value than the normal specialty pack. The magic and physical defense of most farm carts->freighters has been increased 8x. The HP of Hauler-tier farm vehicles have been increased from 8000 to 9000. The HP of Freighter-tier farm vehicles have been increased from 9000 to 10000. Improvements have been made to a Farm Freighter’s pack loading accessibility. All Labor to Create Packs depends from your prof.